A study by the nonpartisan Rand Corp. found that the rate of return for African-Americans was approximately 1% lower than that for whites. The result was a net lifetime transfer of wealth from blacks to whites averaging nearly $10,000 per person. Social Security taxes have been raised some 40 times since the program began. The initial Social Security tax was 2 percent (split between the employer and employee), capped at $3,000 of earnings. That made for a maximum tax of $60. Today, the tax is 12.4 percent, capped at $106,800, for a maximum tax of $13,234. Even adjusting for inflation, that represents more than an 800 percent increase. The House passed legislation Monday aimed at stopping the federal government from mailing letters to people that include their Social Security numbers — including in envelops that have these vital numbers printed on the outside where anyone can see them... "It was on the outside of the envelope," Chaffetz said on the House floor as he laughed. "Mr. Speaker, this it totally and completely unacceptable." 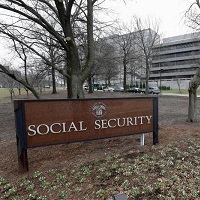 Social Security Administration (SSA) officials spent $300 million over an eight-year period developing a new disability case processing software that is useless, according to the SSA Office of Inspector General (IG)... Eight years later, what little the agency has developed through contractors is so useless SSA might be better off sticking with its old management systems, the IG found. 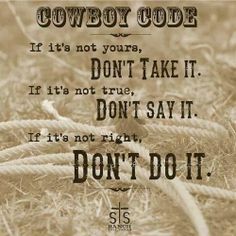 Elmendorf said there are various ways to proceed: "But they tend to be unpleasant in one way or another, and we have not, as a society, decided how much of that sort of unpleasantness to inflict on whom." He noted that many Americans have paid Social Security taxes for decades, expecting to get benefits in retirement. But the money people paid years ago was used to fund other government activities. Social Security experts testified Thursday that a recent surge in falsely awarded disability benefits threatens the viability of a program whose trust fund will be exhausted by 2016. Administrative law judges, who grant the benefits in some cases, told members of the House Oversight and Government Reform Committee that they are often pressured by the Social Security Administration (SSA) to quickly resolve the disability cases and reduce a massive backlog. NEW YORK (CNNMoney) -- More Americans are being erroneously killed off by the Social Security Administration every day. Of the approximately 2.8 million death reports the Social Security Administration receives per year, about 14,000 -- or one in every 200 deaths -- are incorrectly entered into its Death Master File, which contains the Social Security numbers, names, birth dates, death dates, zip codes and last-known residences of more than 87 million deceased Americans. That averages out to 38 life-altering mistakes a day. Is Social Security still a good deal for workers? People retiring today are part of the first generation of workers who have paid more in Social Security taxes during their careers than they will receive in benefits after they retire. It&apos;s a historic shift that will only get worse for future retirees, according to an analysis by The Associated Press. In 1980 the County officially opted out of SSA and the new plan went live on January 1, 1981. Today, current County Judge James Yarbrough says, "We like our system a lot!" Ray Holbrook says, "County retirees 2-3 times what the SSA pays and participants are able to leave their assets in the plan to survivors. They also receive disability and life insurance under the plan. In fact, the surviving spouse of one Commissioner who passed away in the late 1990&apos;s received over $250,000 between her husband&apos;s plan contributions and his life insurance benefits. Our plan, put together by financial experts, was a "banking model" rather than an "investment model." To eliminate the risks of the up-and-down stock market, workers&apos; contributions were put into conservative fixed-rate guaranteed annuities, rather than fluctuating stocks, bonds or mutual funds. Our results have been impressive: We&apos;ve averaged about 6.5% annual rate of return over 24 years. And we&apos;ve provided substantially better benefits in all three Social Security categories: retirement, survivorship, disability. Workers making $17,000 a year are expected to receive about 50% more per month on our alternative plan than on Social Security — $1,036 instead of $683. Workers making $75,000 or more will nearly triple Social Security, $4,540 instead of $1,645. Obama beat everyone, however, with his scaremongering claim that Social Security checks are at risk if he doesn&apos;t get his way on the debt ceiling. "I cannot guarantee that those checks go out on Aug. 3 if we haven&apos;t resolved this issue," he told CBS News, "because there may simply not be the money in the coffers to do it." Wait! What happened to Social Security&apos;s "guarantee"? You know, the iron-clad assurance of Social Security benefits in exchange for paying into the program your whole working life? It&apos;s something Democrats constantly talk about, particularly when attacking Republicans who propose privatizing the program.